Shopkins Dollars are the main money used in the Shopkins World. Fans have been very curious about what are Shopkins Dollars and what are they used for. In the Shopkins Shopville App, Shopkins Dollars are characters with a faces, arms, and feet. The game has a dollar store. 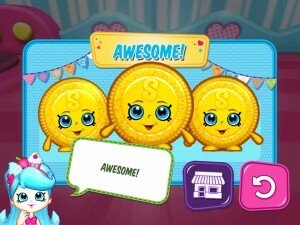 While playing mini games in the app, Shopkins Dollars are earned. They can then be used for other Shopkins. There is also a secret store where they can be used. The Shopkins Dollars have been a hit with children who love collecting them in the game like they love collecting Shopkins in real life. Having a way to interact on a mobile device with Shopkins takes the love of Shopkins to a whole new level. While many phone apps are for 1 dollar, the Shopkins Shopville app is free. Thank you for visiting, SPKFans. If you have any other questions about Shopkins please check our FAQ page. We are dedicated to everything Shopkins.